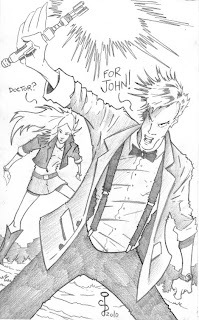 Here is a commissioned sketch of Dr. Who for a customer who bought my Twenty-Ten - Art of Book, right here on the Blog! Be sure to buy yours TODAY, and let me know who you want me to draw for you, and one of these original drawings could be YOURS! 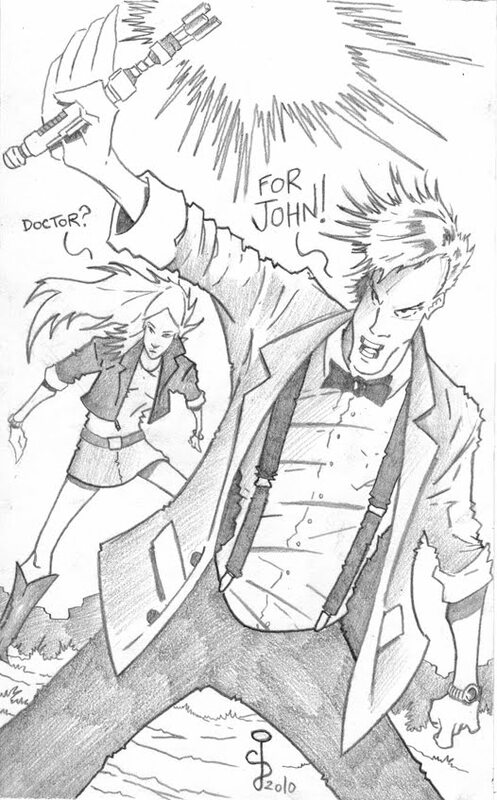 Big thanks to John, for this one, a Dr. Who sketch, a character he has really gotten me into. John is a HUGE Dr. Who fan, and I've gone to him numerous times to try and improve my knowledge of the show and it's history. He's better then Wikipedia! Thanks, John, I've been wanting to draw this character since I began watching the show, and I was really glad that I was able to draw him exclusively for you!